A-On Stock ! Squadra Blu 11 Dark Limited Edition - Made for a 47mm black Panerai Watch ! Product information "A-On Stock ! Squadra Blu 11 Dark Limited Edition - Made for a 47mm black Panerai Watch !" 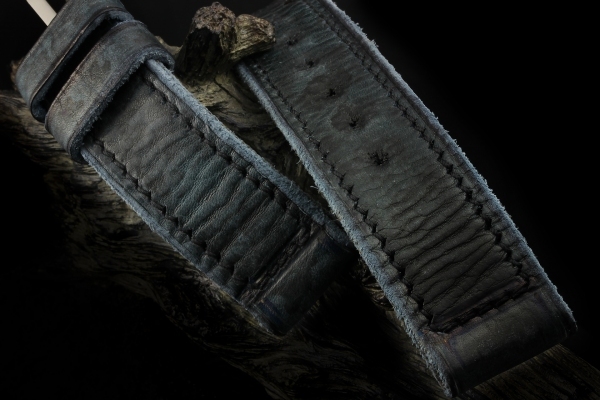 The Squadra Blu Notte 11 Dark Edition - Series are exactly manifactured according the historical Vintage Panerai Straps..
Each stitching hole is punched by a awl and Double hand stitched with wax yarn. Soft and high-quality cowhide (cow leather) from italy. Related links to "A-On Stock ! Squadra Blu 11 Dark Limited Edition - Made for a 47mm black Panerai Watch !"